The apartments for rent at The Timbers Apartments are designed to appeal to students, professionals, families, and everyone in between. Featuring deluxe upgrades and extraordinary amenities, you’ll love the polished look of your refined apartment home. Each unit includes newly renovated interiors and a grand kitchen with espresso cabinetry and stainless-steel appliances. If you choose an apartment on the first floor, you’ll be treated to stunning, easy-to-clean wood-style flooring throughout the unit. We offer residents a range of exceptional amenities in each home, so that you may design your ideal living space. Every studio, one bedroom, and two bedroom apartment has a private patio or balcony, giving you additional space and an opportunity to enjoy a fresh breeze right from the comfort of your own home. Choose to upgrade your floor plan with the option of a loft space, vaulted ceilings, or built-in bookcases. Every studio, one bedroom, and two bedroom apartment home for rent is cat-friendly. Please contact us for more information about our pet policy. At The Timbers Apartments, we know that your busy day doesn’t end when the sun goes down. To make life a little easier, our modern fitness center and laundry facility are both open 24-hours a day, seven days a week, so that you can workout and get laundry done on your own time. When you’re ready to unwind, treat yourself to a day on the relaxing sundeck, with sparkling swimming pool and hot tub. The Timbers Apartments is a gated property with all of the essential amenities that keep the community running smoothly. If you need to contact the management team, we are here for you, providing a responsive maintenance team, package acceptance, night patrol, and pest control. 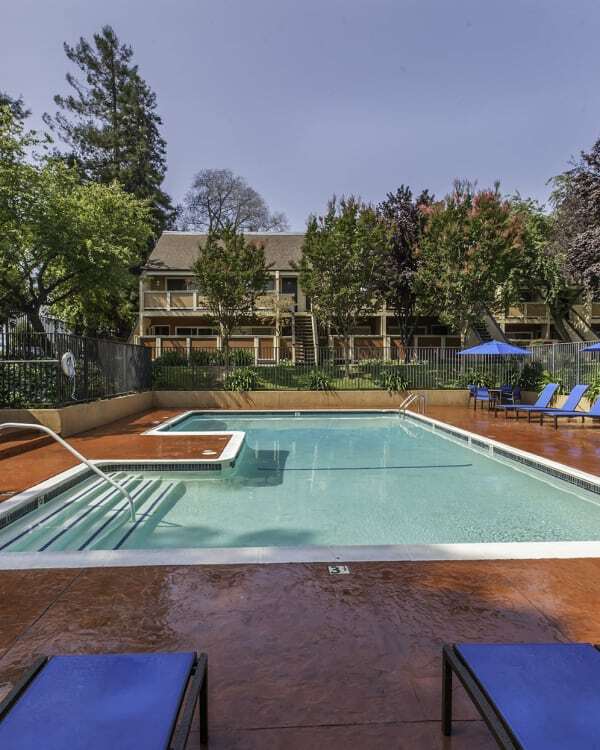 Browse through the photo gallery and begin picturing yourself at The Timbers Apartments in Hayward, CA. Call us today to schedule your personal tour.